[See Focus Accuracy]. Autofocus is only so accurate. Refocusing several times using autofocus shows slightly different results each time with some lenses. Manual focus can be difficult to achieve reliably, and can be shown to be just as problematic. Mirror lockup and solid tripod are required (see The Sharpest Image). Wind and subject movement must be avoided. The camera (sensor) must aligned parallel to a planar (flat) subject. Curvature of field. The focused image of some lenses may not be completely planar. A suitable shooting distance is required to mitigate this. A few lenses have curvature of field even at infinity. When comparing two lenses, even if they are nominally the same focal length, they might be different enough to require moving the tripod to cover the same field of view. It is not uncommon for a long-focal-length lens to be off by 5mm or more from its marked focal length. Focal length can also vary with focusing distance. Field of view: two sensors might have slightly different fields of view so the subjects can’t be framed exactly the same way. Two different camera bodies might have different heights, leading to a slight perspective differences for non-infinity shots. Target distance. Lenses can perform differently depending on the focus distance. As with all tests, mistakes can be made, so no single test should be relied on exclusively when drawing conclusions. Any inconsistent results must be retested, and all resolution chart results should be cross-checked with field shots. Lens ratings on this page reflect a reasonable degree of confidence in the conclusions, based both on a resolution chart and “3D” field shots. Lens aberrations are a serious problem on high-resolution digital cameras, which faithfully record every shortcoming. Distortion and bokeh are included in the rating only if they are prominently good or bad. 1 Poor: Use only for creative purposes. 2 Fair: Noticeable quality shortcomings at most or all apertures. 3 Good: Will produce acceptable results if shot stopped down. Significant degradation of image quality at certain apertures and/or parts of the frame. 4 Excellent: Will produce professional results at most apertures with minor degradation at certain apertures and/or certain parts of the frame. 5 Outstanding: The very best. 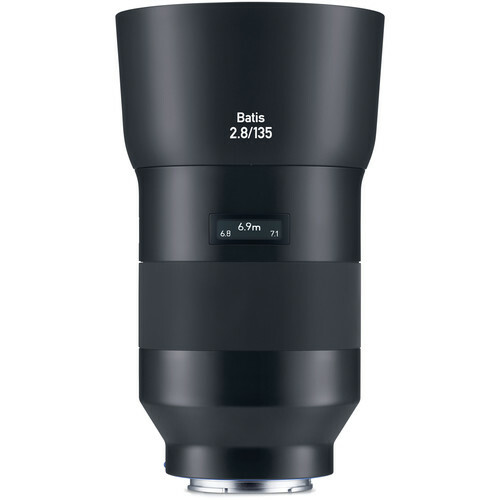 Equals or exceeds the performance of all other lenses of its focal length at every aperture. The sensors used in the D2X and D200 demand very high resolution from the optics. Resolution is typically quoted in line pairs per millimeter (lp/mm) at a given contrast level. As resolution increases, contrast drops steadily, eventually to zero. The relationship between these two is called the Modulation Transfer Function or MTF. An MTF of 100% means black remains black, and white remains white. As the contrast drops, distinguishing between black and white (or detail) becomes increasingly difficult, until eventually there is zero resolving power (everything is solid gray). MTF of the lens is affected both by lens design (and assembly quality), by the lens aperture and also varies with the distance from the optical center of the lens and the orientation relative to the center (whew!). In real (non-theoretical) lenses, MTF usually peaks at f5.6 or f8, in the center of the image. When assessing a lens for the D2X and D200, lens resolving power manifests itself very clearly. Some lenses simply cannot resolve enough detail at any aperture for these sensors, though most lenses can at least do a good job over most of the frame when stopped down a few stops. In the great majority of cases, resolution limitations are most prominent when the lens is used wide open (or close to it) or stopped down too much (beyond f16). Usually, f8 produces the best resolution with the highest contrast. Stopping down to f11 always reduces contrast slightly on the D2X and D200, but does not degrade resolution (usually). Why doesn’t Nikon make “better” lenses? Achieving high resolution and high contrast, especially in zoom lenses, is difficult at reasonable cost (and that includes manufacturing tolerances). Also, there are often competing objectives, such as distortion, weight, size, filter size, zoom range, etc. There are also laws of physics, such as diffraction, that cannot be overcome. Finally, precision assembly of lenses containing as many as 24 elements is quite difficult. Contrast and sharpness begin to decline noticeably at f11 for the D2X and f13 for the D200 (this is directly related to photosite size of the sensor). Stopping down more than one stop beyond those figures accelerates declines in sharpness and contrast. None of the lenses rated here are at their best wide open, having either reduced resolution, reduced contrast or both. Certain lenses, particularly long telephotos, come very close, and may reach peak performance when stopped down one or two stops. This is a sign of optical excellence, but is rare. On the other hand, shooting a fast lens wide-open accentuates the in-focus areas by comparison with the out-of-focus areas for a compelling effect, so fixating on maximum optical performance is not recommended. Chromatic aberration [example], also known as color fringing can be as much as several pixels wide, and cause a certain eye fatigue when visible. If you've ever seen a newspaper printed in color in which the colors are misaligned, you'll remember how hard your eyes worked to make the colors align (but couldn't). Professional large-aperture telephoto lenses are usually very well corrected for chromatic aberration, and usually have very high resolution as well. Wide-angle lenses, even the pro-quality ones, almost always have some residual chromatic aberration, particularly at short focal lengths. It can range from minor to substantial, even on expensive models. In general, the shorter the focal length, the potentially more troublesome chromatic aberration becomes. In a well-designed lens in correct optical alignment, there should be no color fringing in the center of the image. Color fringing increases steadily away from the optical center. Inadequate quality control seems to be an industry problem which afflicts Nikon as well as Canon. The advent of high-resolution digital cameras exposes lens problems mercilessly, for example optical misalignment, or slight misfocus in front of or behind the subject. Take extra care of your optics, as even slight misalignment can cause image-degrading loss of sharpness. I have experienced optical misalignment issues with the Nikon 12-24DX, the 17-35/f2.8, and 17-55/f2.8 DX. Sometimes this is right out of the box (brand new), and in other cases these problems occur over time. In some cases, the problems can be severe enough to be visible in the viewfinder. Sometimes misalignment problems recur. The Nikon 17-35/f2.8, a very fine lens, has gone badly out of optical alignment three times in five years for the author, with no obvious cause (I never dropped it). Usually these optical problems can be eliminated by a trip to Nikon service center . However, when I sent my Nikon 12-24DX in for repair, Nikon declined to repair it, and sent a series of 4 replacements, each of which had its own issues, such as blurred corner(s), or in one case, a double image in one corner. I finally gave up with the last copy, as it is not perfect, but good enough. In most cases, only a single sample of a particular lens was available. Other samples could be better or worse than the test sample. Variability from lens to lens can be large. Modern zooms in particular are often subject to slight optical misalignment. Manufacturers usually distinguish changes to the optical design of a lens of the same focal length and f-stop by using an entirely new nomenclature. Close attention should be paid to the specific model designation. While the lens evaluations on this page were done as objectively as possible with multiple subjects, all tests are subject to error(s). It should be understood that the language used in the lens evaluations, while implying applicability to the same model of the lens being described, is, strictly speaking, applicable only to the particular lens(es) tested. Vignetting is rarely of any consequence on the D2X due to its 2/3 frame sensor so it can generally be ignored as an issue, though Nikon’s “DX” lenses do vignette slightly when used wide-open. Chromatic aberration (color fringing) is now almost a non-issue provided you are using Nikon Capture version 4.4. Its Chromatic Aberration Control feature all but eliminates color fringing, even when using shift lenses! A very impressive feature, it is either missing or harder to use in other programs. The individual lens comments below on color fringing may be largely ignored if you are using Nikon Capture. Contrast and color saturation are outstanding on the Nikon “ED” zooms. The older manual-focus AI/AIS Nikkors may match them in sharpness, but all have notably lower contrast and color saturation, properties which make them appealing for shooting where lower contrast may be desirable, such as portraits. The bulk of my shooting experience has been with the D2x. However, in seven months of shooting, I haven’t found any differences in lens performance on the D2x as compared with the D200, so a single rating is given for both cameras. 10.5mm/f2.8 DX fisheye 4.5 The worst color fringing in the corners of all the Nikkors in this table, but this is mostly eliminated by Nikon Capture (rating reflects Chromatic Aberration Correction enabled). A sharp lens and useful in tight spaces. 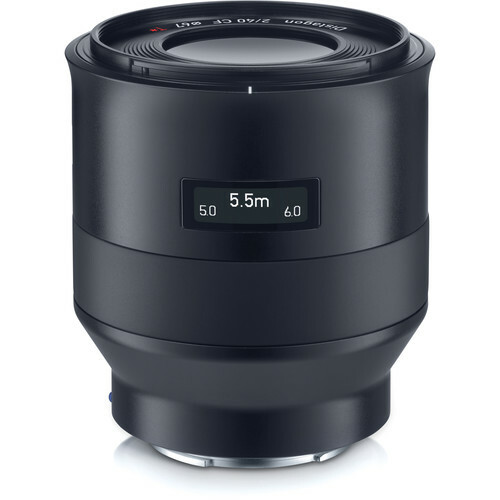 The small size of this lens makes it convenient to carry on a regular basis. 24/f2 AIS 3.5 Satisfactory, but uninspiring performance when stopped down to f8 and with significant color fringing. Outperformed by the Nikon pro wide angle zooms. However, it produces very pleasing pictorial results when shot at close range for portraits, having a lower-contrast image rendition that is flattering. Nikon 28/f1.4D not rated One tested copy did not impress as compared with the 17-35 zoom, having lower sharpness, contrast and color saturation. However, it has a very pleasing image rendition and lower contrast than the “ED” Nikkor zooms. Sharpness is comparable to the 17-35/f2.8 , but color fringing is far stronger, and must be corrected for the sharpness to be revealed. Its small size and weight make it pleasant to carry as compared to the much larger 17-35 or 17-55 zooms. The Norwegian photographer Bjorn Rorslett states that this lens is excellent for shooting into the sun, but the used copy I tested, in spite of appearing to be perfectly clean, showed an unusual kind of flare. Perhaps it was not as clean as it appeared. Keep this in mind if purchasing a used one. Please see the comprehensive review of these lenses. All three are good performers, but all have significant color fringing, making correction desirable. There is a certain satisfaction in using a smaller, lighter lens instead of a bulky and heavy zoom, and this one fits the bill. Performance at f1.4 is not exciting, but f2 really improves things. At f2.8 and f4 performance is excellent over most of the frame. Compared to the 17-55/f2.8 DX zoom, this lens is better overall at f2.8, f4 is a draw, and at f5.6 the zoom is substantially sharper in the corners with much better color saturation (please Nikon, make us some modern ED-glass primes!). A nice lens for shooting at f2 and f2.8 with very nice bokeh at these wider apertures, with out-of-focus highlights rendering as perfect circles. A nice lens for environmental portraits. Be sure to get the AIS version that has 9 aperture blades. The earlier non-AIS versions only have 7 aperture blades, which will not produce as pleasant a background blur. 35/f2.8 PC Nikkor 4.5 A very good performer on the D2X. Red fringing is a problem in some situations, and when fully shifted sharpness declines, but the results are still quite good. 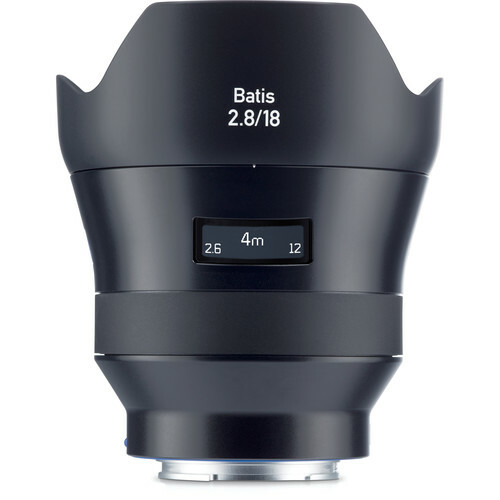 An excellent lens for portraits. Aside from some very minor color fringing, this lens is almost everything a good normal lens should be. At f1.4, the lens has low contrast, but overall sharpness is good to excellent over the central 2/3 of the frame. Stopping down to f2 greatly improves the contrast and resolution improves also. Stopping down to f4 produces outstanding results. Its bokeh is quite good from f1.4 to f4. Beyond that it may not be so pleasing. 50/f1.8 Nikkor AIS (several variants) 2 wide open, 3-4 stopped down Three copies were tried and all were big disappointments, being much inferior to the 50/f1.4D. Apparently there is an earlier version that the encyclopedic Nikon guru Bjorn Rorslett characterizes as a “little gem”, but the copies tested were very disappointing. At least one site provides a good list of all the different models and serial numbers. 50/f1.8D TBD I now have a new copy of this lens. A previous copy was clearly inferior to the 50/f1.4D at all apertures. This lens is no longer made, but can be bought at a stiff premium on ebay. A beautiful chunk of glass, with durable metal body, it promises excellent performance with its aspheric hand-polished front element. I tested it against the 50/f1.4D and found lacking, so it was sent for service, where it was found to be slightly out of adjustment. A new focusing helicoid was installed. When I received it back from service, it was again tested against the 50/f1.4D at every aperture. The 50/f1.4D easily outperformed it at every aperture, even f1.4 where one could expect the NOCT to shine. Both lenses were shot without moving the tripod, thus giving the NOCT at 58mm a distinct advantage over the 50mm, but the 50mm still produced more detail (the actual focal length difference is 12.5%, not 16%). Knowing how critical precise focus is, at least 10 frames were shot at f1.2, refocusing differently each time, and it was verified that the aperture series began with an f1.2 frame that was perfectly focused. The NOCT has strong curvature of field and thus the corners won’t be sharp on an planar subject. But at least in the center, I expected good things. Nonetheless, the impression of sharpness can be startling due to the way it renders areas outside the very shallow plane of focus. Buy this lens for its beautiful creamy-smooth bokeh, which compares favorably to the Canon 85mm/f1.2L. At f1.4 the NOCT produces gorgeous backgrounds, noticeably better than the 50/f1.4D at the same aperture. Foregrounds are not attractive at all, so avoid out-of-focus elements in front of the subject. The claims made on the web for applicability for astrophotography should be ignored; I have purchased and tested 4 copies and they all have curvature of field at infinity, making them extremely poor choices for astrophotography. Also, the claims Nikon makes for correction of sagittal coma flare are exaggerated; the problem is not fully corrected by the use of the single aspheric element. In fact, the 50mm/f1.4D offers better performance, albeit 1/3 stop slower. 60mm/f2.8D Micro-Nikkor 5 My copy of this lens offers oustanding sharpness when used close-up. In spite of being a macro lens, it has a very slight curvature of field at about 1:10. An outstanding performer both unshifted and shifted. It shifts up to 12.4mm with superb contrast and color saturation and no color fringing. Wide open it is somewhat soft, but at f4 both contrast and resolution take a big leap. It continues to improve in minor ways until f8. In addition, it will focus to 1/2 life size. This lens has become my #1 favorite on the D2X for landscape shooting. Its tilt capability enables the capture of stunning shots that you just can't obtain through a standard 85mm. Though it is a macro lens, its performance at infinity is excellent (but not outstanding). Focus it a bit closer, and performance is as good as you're likely to ever see. 85/f1.4D 4.5 An excellent performer, though its color contrast is lower than, say, the 28-70 AFS zoom. Out-of-focus areas also have slight color fringing, possibly due to the internal focusing design. 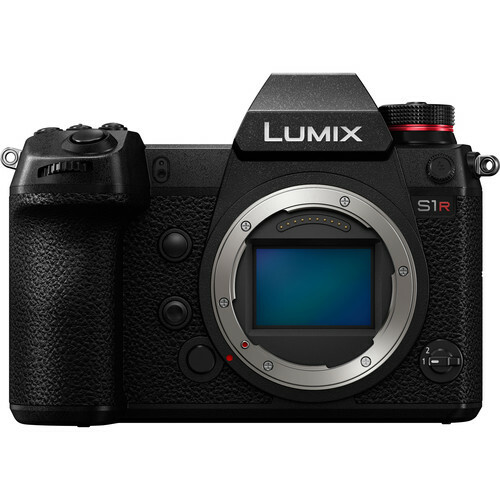 Optimal performance on the D2X is f5.6-f8. While contrast is low wide open, sharpness is excellent across the field. I can't fault this lens for anything but its relatively slow focusing speed as compared with the modern AFS lenses. Well, maybe the bulky metal lens hood--the collapsible rubber ones are to be preferred. At f8, this lens resolves as much as the D2X can handle—even in the corners that are essentially identical to the center at f8, which is unusually good. Not only is its resolving power at the top of the heap, the complete lack of color fringing and its smooth, clean rendition of detail is outstanding. Wide open, it is slightly soft, with modest contrast, improving rapidly as you stop it down. With its outstanding performance, there is one very serious problem with this lens (my copy at least): be very wary of focus errors. I thought the lens was a poor performer until I realized that autofocus error was the problem, and it occurs on a regular basis. An AFS version of this lens would be very welcome. At this focal length, even a minor focus error affects the peak sharpness considerably. So in practise, it’s not a very sharp lens wide-open, unless you can assure yourself of perfect focus. 180/f2.8D EDIF 4.5 This is a sharp lens, with high contrast. However, the 70-200/f2.8VR offers the same aperture, Vibration Reduction, zoom flexibility, and less color fringing—at the cost of lower contrast. The 180mm is a good choice when compactness is desired. 200/f2 VR 5 Excellent image quality at f2, somewhat better at f2.8 and f4, outstanding at f5.6 and f8. Nikon’s answer to Canon's now-discontinued 200/f1.8L. Although it is 1/3 stop slower, it handles better, and offers vibration reduction (image stabilization). This lens has outstanding color saturation and contrast. At the wide end, sharpness falters in the corners, even at f8. At the long end, sharpness is excellent, but no better than the 17-35 or 17-55. In general, the pictures it produces are professional grade, but a notch below what is possible. This lens is prone to misalignment, showing as a soft vertical strip somewhere in the field, or as a blurred or double-image in a far corner. Nikon declined to fix my misaligned copy, instead replacing it, and four (4) defective replacements later has not produced a replacement without some optical problem. An outstanding performer with superb color saturation and contrast. Its excellent flare and ghosting resistance make it a good choice for high-contrast subjects. Performance at the wide end could be improved, where even at f11 the far corners remain soft. My sample exhibits significant curvature of field, evident on subjects such as buildings when shot wide open. This lens is very prone to serious misalignment (3 times in 5 years) even without any impact. More or less equal or better than the 17-35/f2.8 in resolution, color saturation and contrast. It has noticeably more flare than the 17-35 and somewhat more distortion. But these shortcomings are easily outweighed by its relatively wide zoom range. This is a lens whose performance varies significantly by focal length, so it's hard to characterize without caveats, but in general it’s excellent to outstanding and you’ be hard-pressed to better it. It also is a very fine performer wide open at most focal lengths. 18-70/f3.5-4.5G AFS DX TBD I bought a used copy of this lens, and have not yet tested it. But I see little reason to use it over the 18-200VR unless it shines in some way. 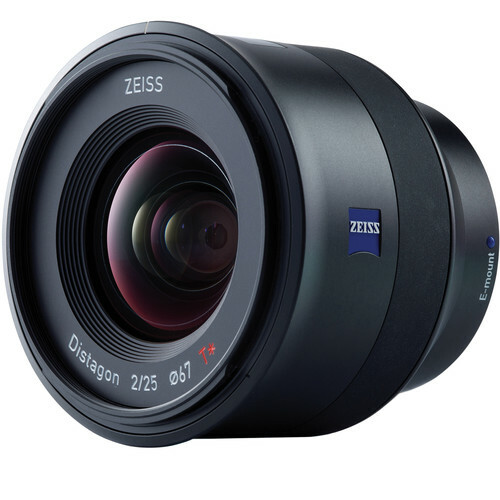 The wide zoom range of this lens is very appealing, but top image quality requires stopping down to f8 or even f11. In general, performance is better at the wide end, and less good at the long end. Soft corners can be an issue with this lens, even at f11. Color contrast is high and in general the lens renders pleasing results. Vibration reduction works quite well, but as with Nikon’s other VR lenses, occassionally makes an image worse. This lens is a surprisingly good performer for infrared work. See Digital Infrared for some examples. In spite of its issues, the 18-200 is an excellent choice for outdoor shooting where zoom range and light weight are priorities. 28-70/f2.8 AFS 5 A truly outstanding zoom, matching the 50/f1.4D at 50mm, and providing excellent to outstanding performance elsewhere. Its ED glass provides strong color saturation and very high contrast. Big, bulky, and intimidating with the lens hood attached. There is really very little need for a prime in this focal-length range unless you need a faster maximum aperture, macro capability, etc. Of course, primes are much smaller and lighter. I felt this was one of my best lenses until the D2X came along. But on the D2X, color fringing appeared on high contrast edges. Along came Nikon Capture to the rescue, so this is now a non-issue. The lens is a good candidate for certain types of portraiture due to its gorgeous bokeh. Absolute sharpness is quite good, but not quite up to the performance of the 105DC. Sharpness in the corners drops slightly as compared with the center, but is still very good. Contrast is moderate, though color saturation is excellent. 80-400/f4.5-5.6 AFS VR 4 I sold my copy of this lens. Optical quality was adequate, but uninspiring, and the lens is a very awkward-handling beast, extending obscenely when zoomed. 200-400/f4 VR 5 Slightly less sharp than the 200/f2 VR at f4, but still outstanding. The combination of zooming and vibration reduction make it a compelling lens for wildlife photography, equivalent to a 300-600mm/f4 on a full-frame-sensor camera. There is simply no Canon equivalent to this awesome lens. This lens offers no more resolution and perhaps slightly lower contrast than the 70-200VR, but there seems to be a smoother rendering of fine detail than the 70-200VR that sharpens better with fewer artifacts. Add in the beefy tripod collar, stellar build quality, 6X zoom range and you have a recipe for a truly outstanding zoom. The major downsides are manual focus and weight. The lens is no longer made, and there were several preceding models. 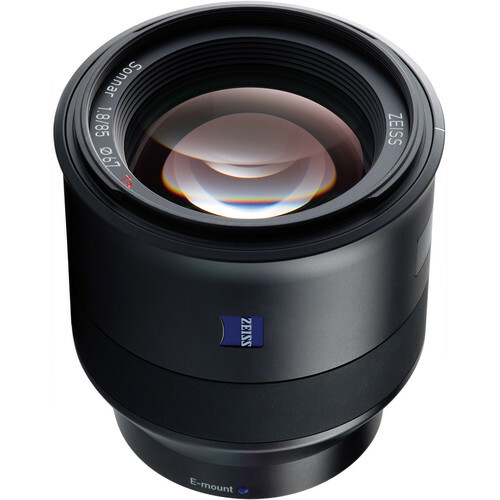 At f8, it is very nearly a match for the 200VR, a much more modern lens! Sharpness in the corners drops slightly over the center, but is still excellent. Performance at 50mm is not exciting compared to the 50/f1.4D, and at 300mm there is some color fringing. But overall, the performance is excellent for the versatility it offers.